A highlight of "Sadko" is the scene in the Sea King's court, when the Viking, Hindu, and Venetian guests sing about their homelands that border on the ocean. In the first recording these were star turns, with Mark Reizen, Ivan Kozlovsky, and Pavel Lisitsian respectively. And then there's the intermezzo known as the Flight of the Bumblebee. Just for fun, before Len joined, we had a semi-crazy member whose name escapes me (Donald Isler would remember) who thought that Rimsky was the greatest Romantic composer. He also thought that the Magnificat was Bach's greatest work. Rimsky-Korsakov may not have been the greatest Romantic composer - of course he wasn't - but outside of Russia, his achievement is not taken as seriously as it deserves. Part of it is that so much of it is in opera, large-scale spectacular opera that's expensive to stage properly. The only one of his operas to get much play here is the more modest-scaled "The Golden Cockerel," which is atypical of him. 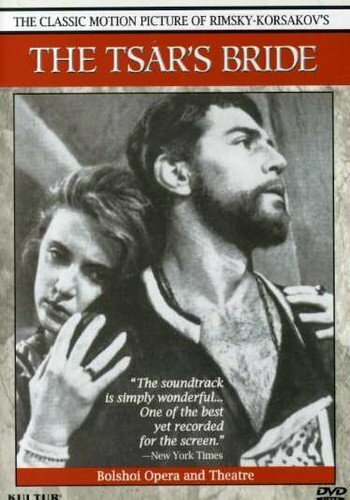 Visits of the Kirov/Maryinsky Opera conducted by Valery Gergiev have shown New Yorkers not one but two productions of "The Legend of the Invisible City of Kitezh," which I believe has otherwise never been performed in the western hemisphere.. There used to be talk of a Met production with Gergiev, but it hasn't happened and probably won't. The intermezzo depicting the battle of Kershenets is sensational. Koussevitzky recorded it with the Boston Symphony Orchestra. I used to look down my nose at "Sheherezade," and hadn't listened to it for many years until Kurt Masur, that eminently serious musician, programmed it with the New York Philharmonic. There must have been something else on the program to get me into the hall, but it was "Sheherezade" that opened my ears. On that evening I heard it not as a tone poem but as a program symphony on a very large scale, and that's how I still hear it. Stravinsky not only studied with Rimsky-Korsakov, his early works, especially "Firebird," are Rimskyan in every way. It wasn't until "Petrouchka" that his own distinctive style left Rimsky-Korsakov's behind. 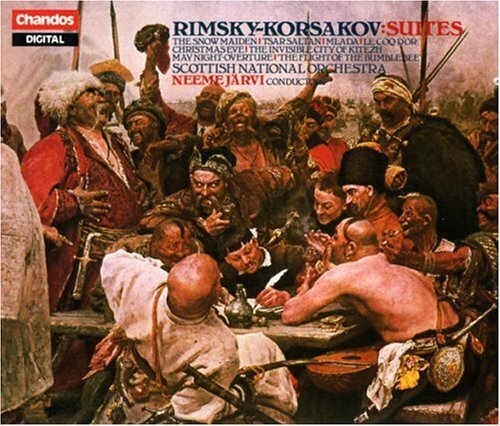 Rimsky-Korsakov may not have been the greatest Romantic composer - of course he wasn't - but outside of Russia, his achievement is not taken as seriously as it deserves. For the record, I did not disagree with Mark what's-his-name (I could kill myself for not remembering) about the Rimsky operas. (I call him Rimsky because that's what Stravinsky did.) In fact, I informed him that there was going to be a festival of them somewhere, not in Russia, in case he was able to attend. Also, he was the person who first explained to me the title of the famous if pretty lousy organ piece by Liszt "Ad nos, ad salutarem undam." It always looked to me as though it meant "To us, to healthy vibes." In fact it is from Le Prophète and is sung by the anabaptist priests. It means "To us, to the saving waters [of adult baptism]." Scheherezade may be Nikolai Andreyevich Rimsky-Korsakov's best-known work, but his operas do, I agree, show him at his best rather than his 3 symphonies, which are rather formal (1 & 3) and weak, although II is quite interesting (the "Antar"). My personal favorite is "Tsar's Bride," which Rimsky-Korsakov composed after hearing Puccini's "La boheme," which inspired Rimsky to compose his opera based on Puccini's style. I've done Marfa's Mad Scene in my competition; it is a pinnacle of operatic writing when compared to any other composed you would wish to name. My personal favorite is "Tsar's Bride," which Rimsky-Korsakov composed after hearing Puccini's "La boheme," which inspired Rimsky to compose his opera based on Puccini's style. I don't know if I'll ever warm up to Donizetti, but as much as I hate to admit it, the finale of the overture to Rossini's Guillaume Tell may be the most thrilling thing in all of music. We all considerate a cliché from The Lone Ranger, but modern kids don't know that. Here is a performance by entirely non-Western forces. Sure, Len, the film was released with subtitles. Enjoy! Crispo's food and wine list are both excellent. We're there on a regular basis. My favorite wine is a Malbec from Argentina called "Punta final:" it's grown in the furthest south region of Argentina. Frank Crispo's prices are certainly reasonable for a Manhattan restaurant, ranging from $24.95 to $28.95 for entrees. A dinner for four including wine coffee & dessert can run $65-$75 per person, and astoundingly low price for this area, so he packs them in on weekends: up to 500 reservations! Weekdays are more calm, of course. Frank doesn't do lunch, because we're not much of a luncheon neighborhood, unfortunately, even though Googe's NY headquarters is right next to my building in the Port Authority. even though Googe's NY headquarters is right next to my building in the Port Authority. I thought Secaucus was a joke the last time you mentioned it. Why on Earth do you ever stay in such a God-forsaken place? Not that I'm one to talk. Most of northeast New Jersey is pretty awful. In college there was an excellent lecturer who mentioned that the great poet Wallace Stevens always wore the same white suit tailored by someone from East Orange. The room erupted in laughter. The building in question is between 15th and 16th Streets on 8th Ave., and is also owned by the Port Authority. When I first moved to this neighborhood (I was the second person to sign a lease in 1974 when the building was new. ), it housed a Citibank branch, now Google has its headquarters there. The building in question is between 15th and 16th Streets on 8th Ave., and is also owned by the Port Authority.